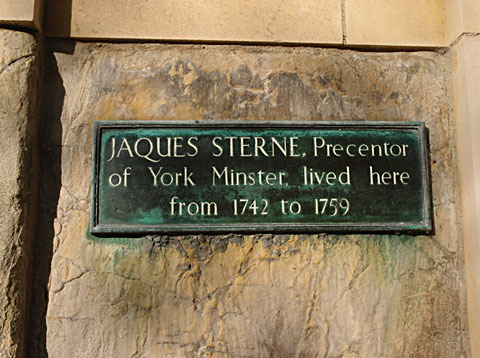 There are many commemorative plaques in York. This is a personal favourite, not because of the person whose life it commemorates — who, I have to confess, I know nothing about — but because it’s a handsome thing on an equally handsome stone gatepost in the generally beautiful Minster Yard area. I’ve written before about other plaques and memorials. Paul Woosey’s bench, and the plaque to John Woolman, and the plaque marking the birthplace of W H Auden (often referred to as a ‘York poet’ — did he ever write anything about York?). There’s a very interesting event taking place this Saturday, encouraging us to make our own plaques. I’ve often thought, prompted by ponderings on the Auden plaque, that it would be brilliant to do something like this, and now, hurrah, York’s Alternative History/Living with History have organised this event. Making our own plaques to mark our own significant places is a way of reclaiming the city many of us feel we have lost. And reclaiming it, hanging on to its real history, is more important than ever, in the face of the increasing focus on the city’s visitors and the accompanying uninspiring language of endless ‘offers’ — ‘visitor offer’, ‘cultural offer’, ‘retail offer’— and most recently and most hideously its ‘railway offer’ (once known as its ‘railway industry’). I’m sorry I didn’t mention this event much earlier, as until 6 May we were able to send by email suggestions for a plaque to put in a particular place. The deadline for that has gone. I know from the emails I’ve received over the last decade that particular places are remembered by many readers of this website who no longer live in York. I remember receiving beautiful and poetic words about Acomb, and Hob Moor, and the Knavesmire, and various schools, and perhaps a plaque should go up on the remnants of the wall once dividing ‘private’ and ‘council’ residential areas. If you’re unable to get to the event on Saturday, and a particular place is special to you and you can picture the plaque you’d have made if you could, add a comment below? Thanks for adding this info Helen. Interesting to see what is marked, and will be even more interesting to see what locations are marked tomorrow, and why. Great project. .NO ENTRY EXCEPT FOR POSH PEOPLE.